“It is clear that the study committee created by Senate Bill 874, at an estimated cost of $1 million, will create the basis for the state, in the future, to create school consolidation plans and require local conformity to those plans. While I respect the fact the legislation’s focus was shifted towards the creation of a commission to investigate potential cost savings, it is clear to the most casual observer what the underlying intent of these new bills are,” explained Rep. Hill. Specifically, Senate Bill 874 calls for the establishment of an appointed commission, and for that commission to develop recommendations for the sharing of school services and additional collaborations within and among school districts. According to Rep. Hill, it is foreseeable that the commission’s recommendations could ultimately mandate action by local school districts. She was joined by her Republican colleagues in opposing the bill. It did pass by a party-line vote of 22-13 and will head to the Appropriations Committee for further consideration. “The more aggressive language proposed by the governor’s office was removed from this version of the bill, presumably to help it get through the committee process. I do appreciate the language changes, but I am not comfortable with the underlying intent of forcing our school districts into a one-size-fits-all approach that may not create cost savings for each district. 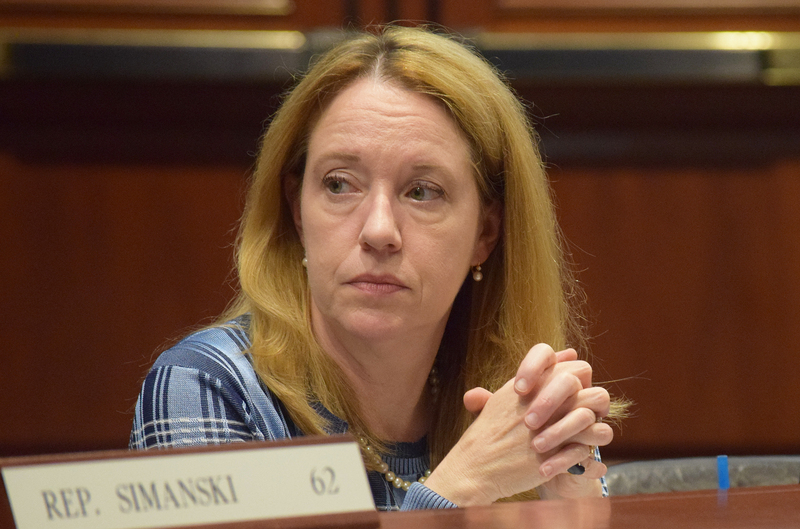 Boards of Education, which are elected bodies made up of parents and taxpayers, can best evaluate cost-savings initiatives and whether they are in the best educational interests of their students,” explained Rep. Hill. Additionally, House Bill 7150, requires the state to adjust the Education Cost Sharing formula, diverting monies from certain towns that have demonstrated fiscal stability. There were two Democratic members of the committee who voted against the bill, along with all Republican members. The bill ended up passing by a final tally of 20-15. It will now be considered by the legislature’s Appropriations Committee.